USDJPY will be under the influence of BOJ Summary of Opinions and the US releasing economic data such as the Flash Services PMI, Durable Goods Orders m/m, Natural Gas Storage, Core Durable Goods Orders m/m and Unemployment Claims therefore it would be more volatile today. The first support rests at 112.20 followed by 111.40. The first resistance resides at 113.00 leading to 113.80. The MACD is indicating a price correction since the price is in neutral territory. Long positions are recommended targeting 112.95 followed by 113.30. However, if the price falls under the pivot line sellers can target 111.75. 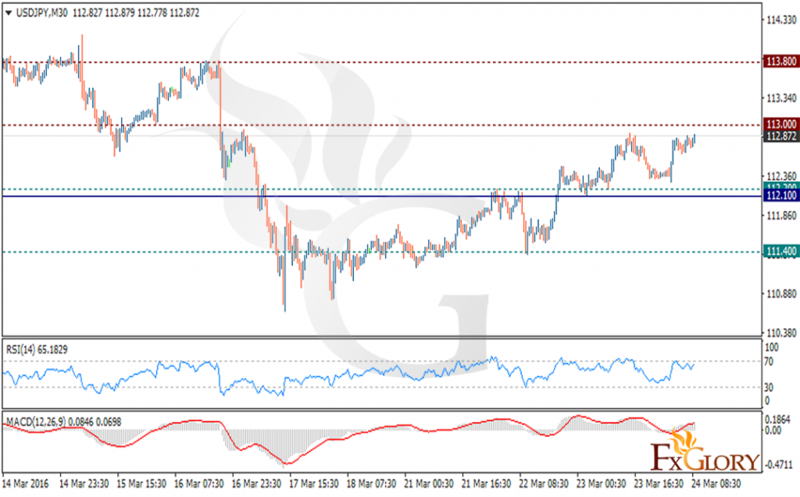 If the downward break happened the pair will continue its decline targeting 110.35.